One of the less obvious booths at last month's IAA commercial vehicle exhibition in Hannover, Germany, amidst all the glitz and glamour of the various commercial vehicle displays, was that of the ASIMCO Group. The booth, one of the largest booths in China's component display, demonstrated the extent of the group's expertise. Six operating companies attended the show and showcased their latest products on the important occasion in the commercial vehicle calendar. 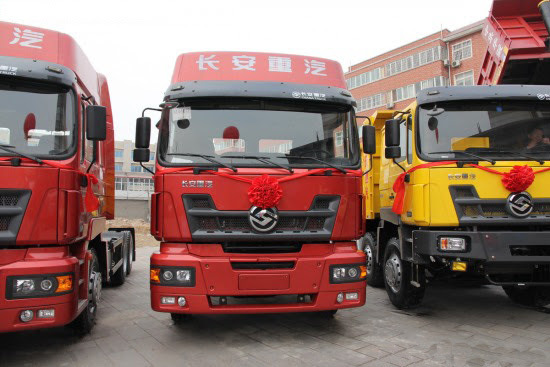 Components included ASIMCO Shanxi's vermicular graphite cast iron (CGI) cylinder heads of the 13-litre engines for the heavy commercial vehicle from JMC, which has close ties with Ford Motor Company. It will be recalled that in 2013 Jiangling Motors Corporation, Ltd (JMC), China's leading producer of diesel engined vans, light buses and light duty trucks, announced that it had entered into a technology supply agreement with Swedish process control specialist SinterCast for the installation of a SinterCast Mini for development - technology that would allow its foundry to produce graphite iron (CGI) products. Other products on show by the China-based company include ASIMCO NVH's engine mounting system for Isuzu Motors, ASIMCO Camshaft's steel camshafts for France's FPT, and ASIMCO Tianjin's turbocharger air intake pipes for Daimler AG. ASIMCO notes that all the products attracted the attention from many professionals. ASIMCO Group's leaders including president and chief executive officer Wang Bin and Vice Presidents like Wilson Ni and Wu Yingxue, ASIMCO Shanxi's general manager Tian Guozhu and the representatives from other four operating companies attended this exhibition. ASIMCO also notes that during the show the company entertained a number of prominent customer executives including JMC's general manager and his team, Yuchai Group's vice president and his team, Cummins China's chief technical officer, Paccar/DAF's procurement leader, the procurement directors of Daimler AG in Germany and China, and finally Ford Motor Company's operations procurement leader of the company’s operations in Turkey, namel Ford Otosan. All visited the booth with intention of learning about the Group's products and latest developments, and to negotiate on current projects and explore the cooperation potentials. ASIMCO claims that "all the clients were deeply impressed by the group's large product line, devotion to proprietary R&D, and internationalized business layout." The company said this signalled the company's access to new material field and new product market. The CGI cylinder blocks and heads, which are used in the new engines co-developed by JMC and Ford, claimed the world's leading technological advantages, environmentally friendly production and energy conservation, with outstanding quality. Once the official production is launched, the competitive advantages will be created. The company took this chance to lay a solid basis for their future market presence. The company used MAGMA software to simulate the new technique of each product on more than one occasion, and even used Sintercast's technology for the first time in the research and test. All the departments worked closely for five hard months to develop the high-quality castings, thus earning the clients' trust and respect. ASIMCO added that with this “new landmark”, the success of CGI cylinder blocks and heads had consolidated the company's status as “China's largest independent supplier of automotive cylinder block and head casting”. The presence of a representative from Ford Otosan was not without its significance. On 5 February 2015 Ford’s China partner Jiangling announced joint venture plans to continue ramping up investments through 2015, and in 2016 to prioritize the finalization of a technology license contract for the JMC-branded J19 heavy truck project with Ford Motor Company, Ford Global Technology, and Ford Otosan as its single most important investment for 2016. It was aid that JMC would gain a technology license for the design, manufacture and service of Ford Otosan "Cargo" brand heavy trucks including chassis, cab, and related parts and components. Under the July 25, 2014 agreement, JMC would pay Ford Otosan an initial licensing fee of €8 million, plus an additional €330 to €485 for each chassis constructed with Ford Otosan-licensed components, and €20 to €40 for each truck completed with a Ford Otosan Cargo cab. Ford’s joint venture deal with Jiangling Motors Corp. (JMC) dates back to 1997 to build European Ford Transit so-called full-size vans. Ford increased its stake in JMC to 31.5 per cent in 2013. Located in East China's Jiangxi Province, the JMC-Ford joint venture also builds JMC-branded SUVs, pickups, vans and light trucks (Ford also has a passenger car joint venture with Changan Automobile Co. in Chongqing). In August 2012, the JMC-Ford joint venture acquired a small, new truck maker called Taiyuan Changan Heavy Truck Co. Ltd. (founded in 2007) for US$42 million and renamed it JMC Heavy Duty Vehicle Co. Ltd. (JMCH). On 24 Apri 2013, JMC signed a 12-year technology license contract with Ford Otosan to produce the latter company’s 7.3 and 9.0 litre Ecotorq diesel truck engines (JMC code-named J17) for the upcoming Ford Otosan Cargo-based heavy trucks (JMC code-named J19). It is known that Ford Otosan uses compacted graphite iron (CGI) engine components. In the heavy Cargo range, Ford Otosan has been offering the 10.3-liter Fiat Powertrain Technologies (FPT) Cursor 10 engine found in Iveco trucks. Ford Otosan is now ramping up to produce the 11.1-liter Cursor 11 and 12.9-liter Cursor 13 under license in Turkey (The Cursor 11 replaces the Cursor 10). For the JMC-Ford joint venture to find success in China’s heavy truck market, these larger engines will be essential. JMC agreed to pay Ford Otosan an initial licensing fee of €1 million, plus an additional €150 to €190 for each Ford Otosan-based J17 engine produced. JMC agreed not to directly or indirectly design or develop a competing engine to the contractual products during the contract term. The two agreements were supposed to commence with the 2016 model year, be extended every three years and have 12-year terms. Industrial Vehicle Parts is a dedicated online parts store run by the team at Warequip Solutions the home of industrial vehicles.